Listed below are a few reasons why one should sell off their car immediately. As one drives the mileage of the car increases which also leads to invariably increase in the maintenance cost. The cars that are 2 to 4 year old will not require much of maintenance excepting the routine check up but vehicles that have travelled above 75000 km will need repairing of parts which are quite expensive. The consumer instead of replacing the old parts with new ones which will be quite costly can think of then selling off the vehicle and in return get a new one. The resale value of the vehicle is affected every year. One should sell their car towards the year end because you will still know your resale value but if it changes to next year then again the price value will change. Towards the end of the year selling a vehicle is difficult so try and sell it around September October as it is considered the best months to sell a vehicle. Try and sell and the vehicle while it is under the warranty period of the company because of you have to spend money for replacement of parts then it becomes much more investment on your part and it is difficult getting that much of money back when you are reselling the vehicle. Vehicles are considered as an important symbol of status. If you have received a promotion and there your salary has increased you can definitely think of changing your car as one wants to show their promotion to others who do now know. Changing your vehicle and upgrading to a new one will be a wise decision to let others know it. If you are transferring to another city and already own a vehicle then you have to sell it off because you cannot carry the vehicle to the other place and shipping the old vehicle will involve lot of hassle and investment. 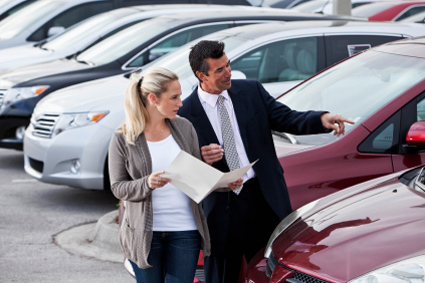 It is better to sell off the vehicle and then move to another place and then buy a new car. The car manufacturers are constantly upgrading the vehicles and trying to increase the fuel economy of the vehicle. For eg. The old Maruti Dzire petrol version had 19.1 kmpl whereas the new one has 20.5 kmpl. This shows an increase around 7%. If a consumer has a usage of more than 2000 km then if he shifts to diesel variant he will save Rs 4000 a month and around Rs 1.5 lakh a year.